Need extra support for your quilting projects? Eliminate distorted stitches caused by the weight of the fabric of heavy projects. 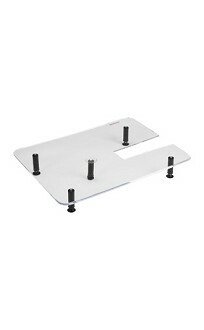 This extended sewing surface is 18 inches x 24 inches and will provide the support you need for those larger projects- 430-450, 630, 635, 640 fits around the free arm.